THIS FLOATING BAR GIVES YOU THE ULTIMATE LUXURY COCKTAIL CRUISE EXPERIENCE! Forget the conventional pubs on dry land, here’s Singapore’s best floating bar for the ultimate way to dine and drink in style! The Royal Albatross romantic Restaurant and Bar is at the forefront of providing true luxury. Located conveniently behind the S.E.A. Aquarium at Resorts World Sentosa, its sea front location gives a sense of allure, mystery, and romance. The bar’s revamp is spectacular. Spanning a six-year makeover, the tall ship’s transformation is an immaculate fusion of technology and tradition, transporting guests back into the golden age of sail. Moreover, the bar’s swanky interior is accompanied by a stupendous view, with the air-conditioned Grand Salon offering an impressive 270-degree view of Sentosa. Not only that, the upper deck of the ship features a 10-person seat and gives its guests an awe-inspiring, panoramic view of the island and sea – perfect for professional photographers or even photography enthusiasts looking for their next ‘Instagram-worthy’ shot. No doubt, the bar oozes a classic and romantic ambience unlike no other and is the ideal place for a date with a loved one or a cosy gathering with friends. Besides offering a magnificent view, the Royal Albatross Restaurant and Bar boasts a team of accomplished bartenders. 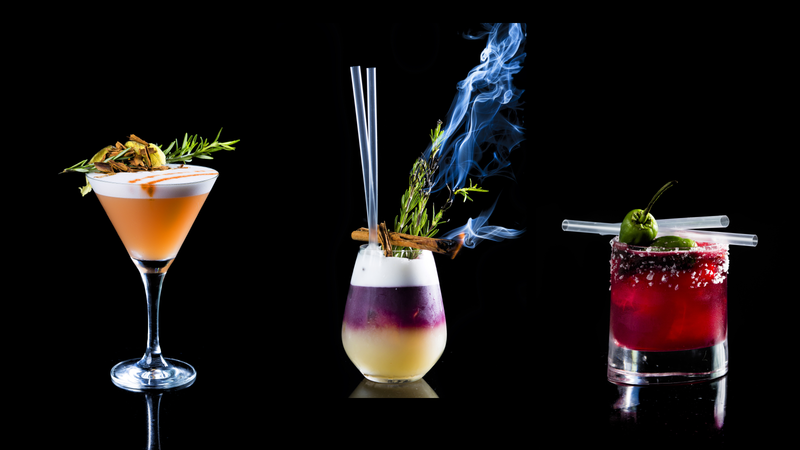 The bartenders have years of experience and are more than skilled in the art of mixology. And, their passion for the unorthodox will see them concocting a variety of sinfully delicious elixirs and cocktails for you and your guests. Our tapsters also have a deep appreciation for Singaporean culture and are always interested in incorporating local flavours into their creations. As such, this passion for South East Asian heritage is a key inspiration behind the special blend of international and local concoctions you’ll find at the bar. 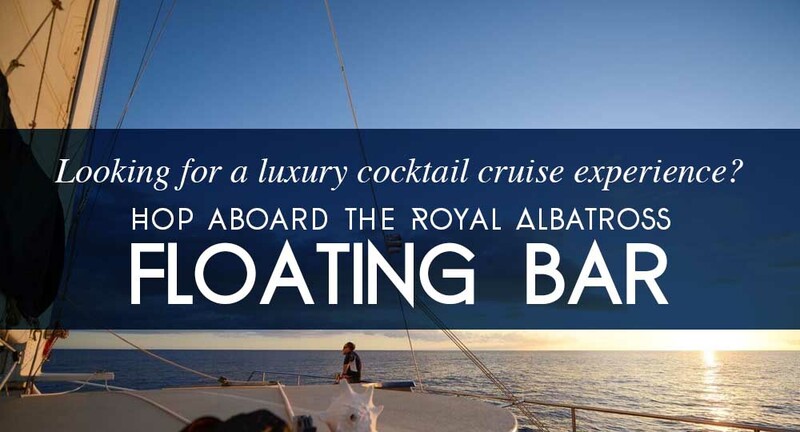 Needless to say, the Royal Albatross’ floating bar is breathtakingly exclusive. 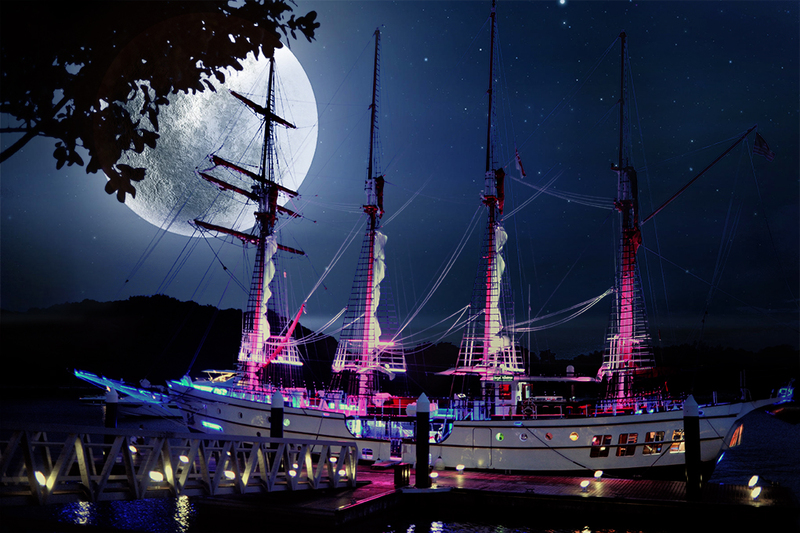 Being one of only five remaining luxury tall ships in the world, it is an elegant superyacht that gives guests the rare experience of indulging in drinks while sailing on the coastal waters of Sentosa. Whether you are sailing out on the dinner cruise or dining onboard, you will be sure to be in a unique ambience that is hard to find elsewhere. Thus, for a truly unforgettable experience, hesitate no further and make a reservation at the Royal Albatross today!